A whole new world, indeed. Seemingly every day now news appears to break on another live-action Disney reboot. Today, that honor goes to Aladdin. The Mouse House is developing a live-action take on their 1992 animated Oscar-winning smash and word is getting out that Guy Ritchie (Lock, Stock and Two Smoking Barrels) is being tapped to direct the upcoming feature. Dan Lin, who previously collaborated with Ritchie on the successful Sherlock Holmes franchise, is producing the title from a screenplay penned by John August (Big Fish). 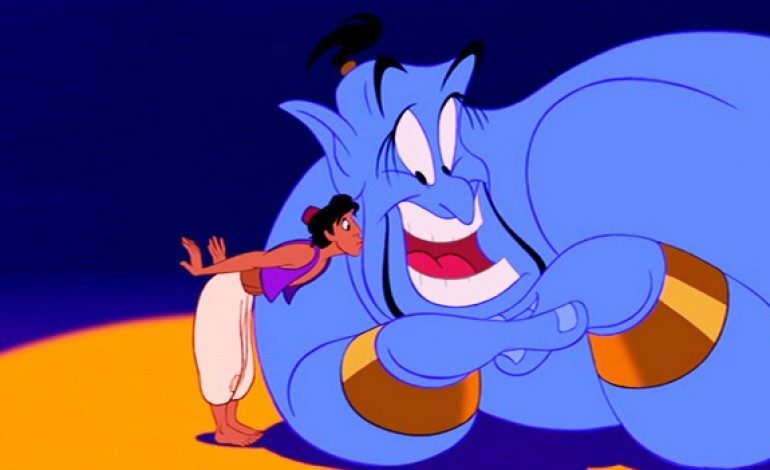 A featured part of the heralded Disney Renaissance, Aladdin holds special distinction for its memorable soundtrack as well as the beloved voice work from the late Robin Williams as the Genie. The story, derived from Middle Eastern folklore, tells that of a pauper who is granted three wishes by a magical genie. Reportedly, the live-action take of the film will incorporate some of the animated film’s rich music (perhaps including the Oscar-winning song “A Whole New World.”) What is unknown is exactly how the character of the Genie will be portrayed in the film, something of which will mark a challenge considering the iconography attached with Williams’ vocal work. As an added bit, Disney make also be looking to film Aladdin in an unconventional, perhaps even non-linear fashion – a nod which may prove appealing for the idiosyncratic talents of Ritchie. Ritchie is coming off the 2015 spy flick The Man From U.N.C.L.E. – which starred Henry Cavill, Armie Hammer and Oscar winner Alicia Vikander – and next year will present his modernist take on another legend – King Arthur: Legend of the Sword. We will stay tuned to the latest regarding Aladdin as more news becomes available.